Project Lifesaver gives family members and caregivers peace of mind and brings loved ones home. 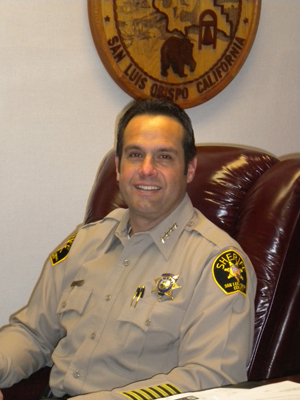 The Lions Clubs of San Luis Obispo County have provided major financial supp ort to Project Lifesaver.. Click on the photo to enlarge. 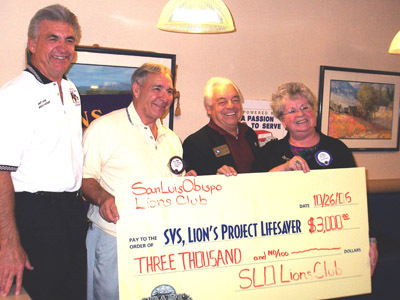 Senior Volunteer Services provides support to Project Lifesaver. 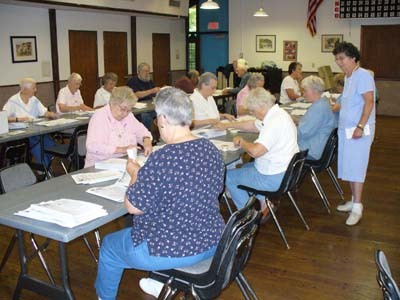 In this photo a group o f volunteers (Silver Streaks) are doing a mailing at the San Luis Obispo Senior Center in support of Project Lifesaver. Click on the photo to enlarge. 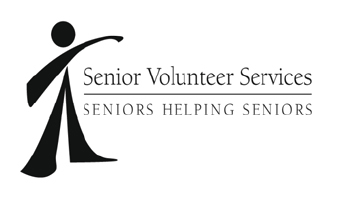 For more information about Senior Volunteer Services please contact the Director: Marie Brinkmeyer at rsvpslo@srvolunteer.org or (805 544-8740).